This is a video of different cats wearing and doing crazy stuff. If you are a cat lover, then this video will be for you! Check out the cats of modern society! 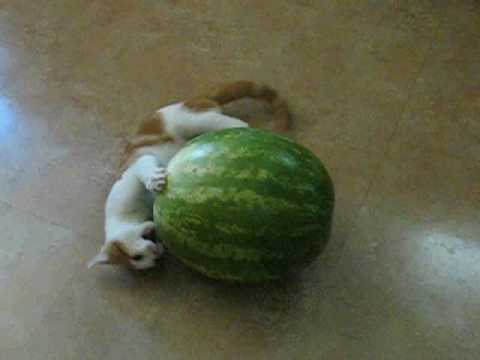 This is real cute, a 4 month old kitten that attacks a watermelon. By the time she was finished it was obvious that the watermelon lost, cause of all the scratch mark. This is a funny kitten. This video shows the different type of mating styles animals have and it is very unique. Real funny though, watch it! How interesting is a treadmill to cats? Just see how the white cat slaps the other one and scares him. It is hilarious, you should watch it! Afterwards is a daring jumping cat and a very funny moaning dog. You will like this video! First up a Gecko with its super fast moves, amazing! After that you will see just how fast horses will get rid of dumb people. Please do not try what these people are trying, otherwise you might get a unexpected kick. This is so cute, you will love it. 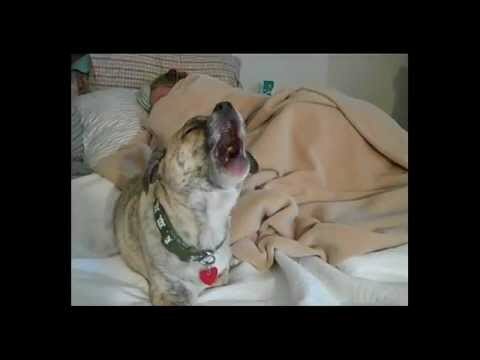 This little dog loves singing to the opera music that is playing in the background. Just watch how she starts singing when the opera lady sings. Absolutely adorable!